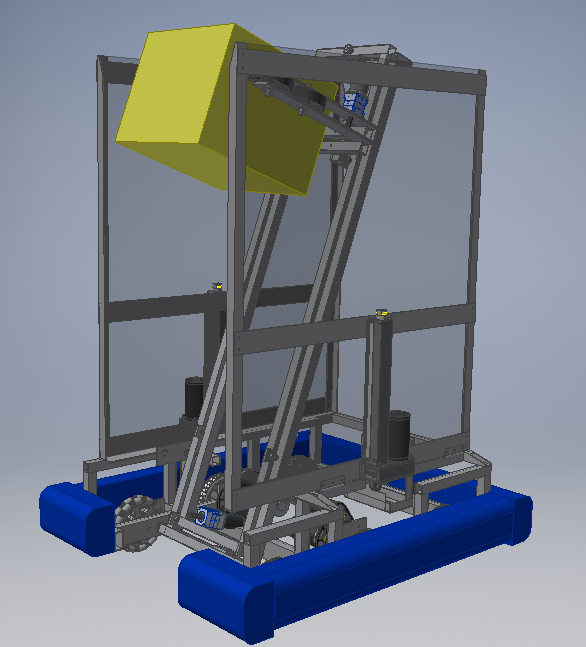 Our Robot design for this year’s game, Power Up, was created to be the most efficient point-scorer that we could design in six weeks. In order to eliminate human error, to pick up the “power cubes”, there is a wheel system that is able to pick up the power cube at a variety of angles. 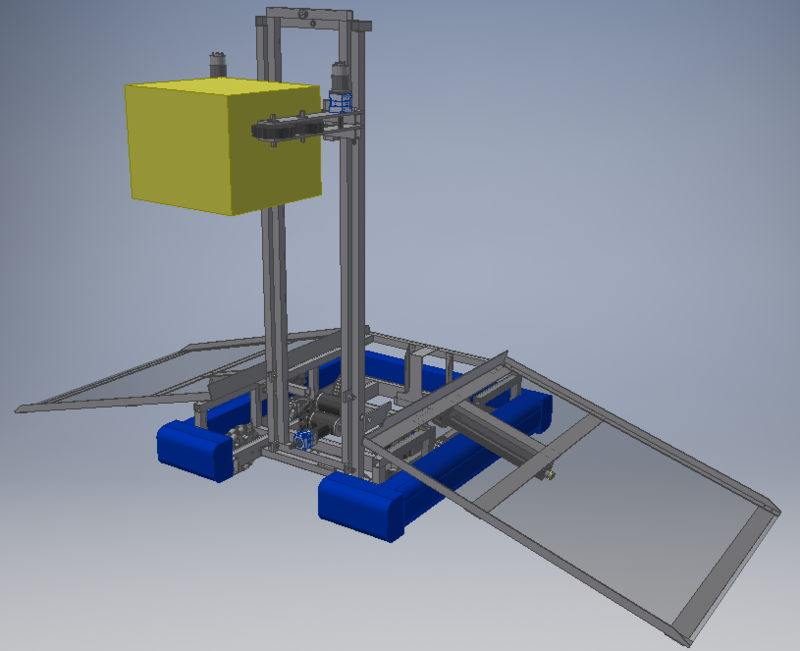 To place the cubes, our robot also uses a telescoping lift that pulls the wheel system to a total height of ~8ft. Then, the robot is able to reverse the direction of the wheels in order to place the cubes on both the switch and scale. Our drive train is considered a tank drive system, running off of 4 CIMS, with six wheels (Two omni in the front, four plaction in the back). Finally, in endgame, in order to receive climb points and not have to rely on the other robots on our team, our design includes two ramp systems that are able to elevate both our alliance members above the 12 in. needed to receive points.